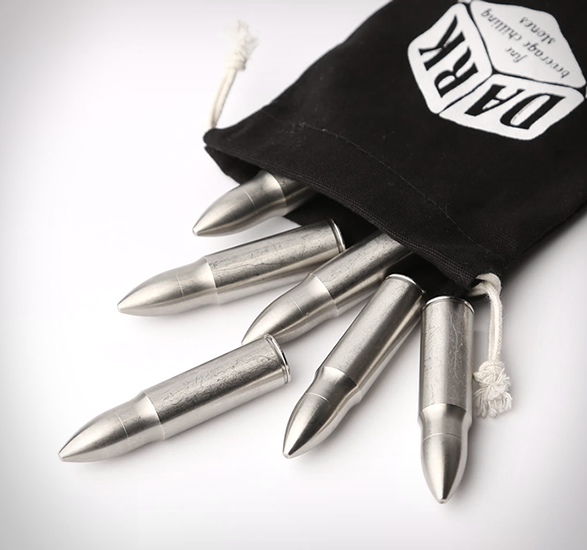 Who knew you could keep your favorite drinks chilled to the perfect temperature with bullets? 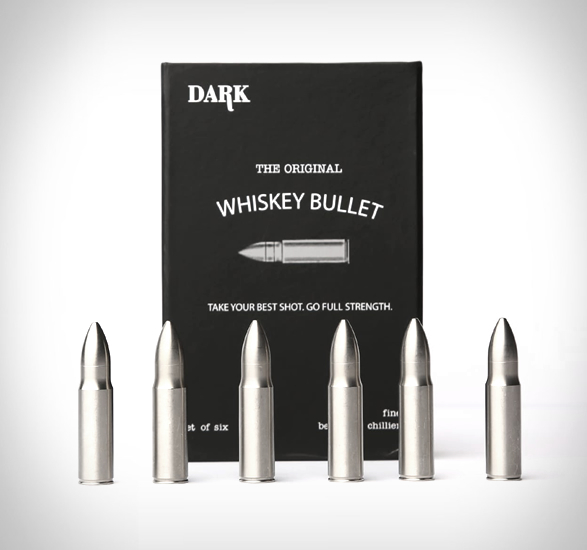 These original Whiskey Bullets are made of stainless steel and can be used to chill your whiskey, scotch, vodka, white wine, and more. 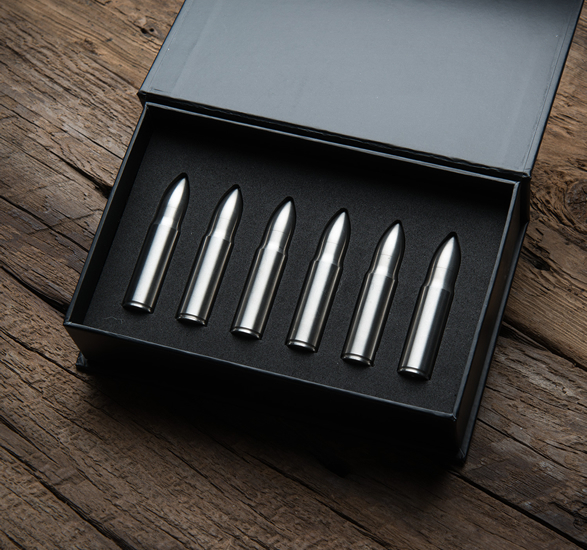 Add three chilled bullets to your next dram, let stand for 5 minutes and enjoy. 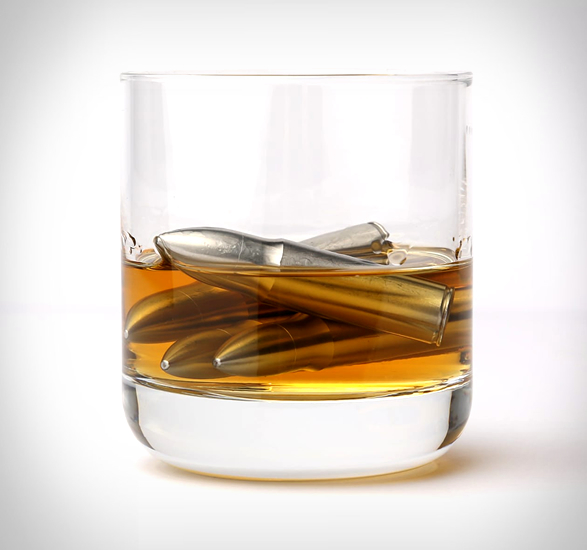 They will not have effect on the taste or flavor of your drink and will keep it at the right temperature for longer, and without diluting it. 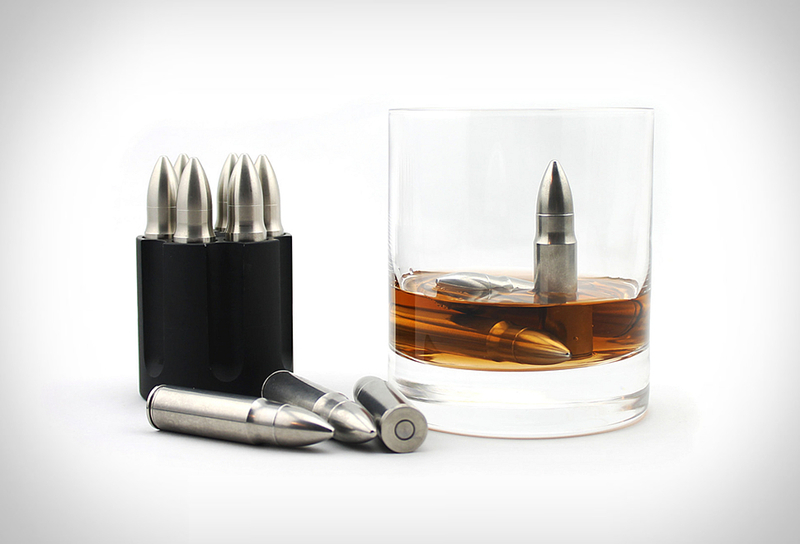 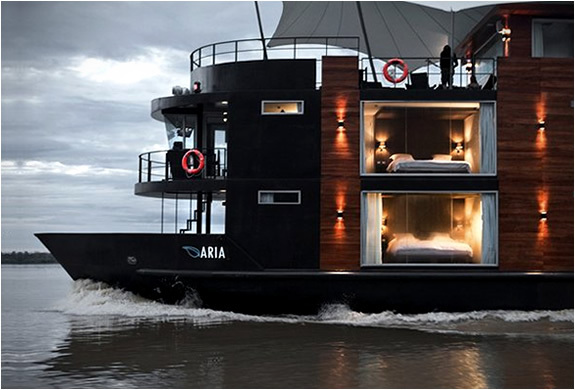 Cylinder not included.